Project 1, one of the most established teams in brand trophy motorsports, is banking on a partnership with JBR Motorsport & Engineering for the 2019 racing season. Team Project 1 – JBR will be in the starting grid in Porsche Carrera Cup for the first time in the season starting in Hockenheim in May. Since 2012, JBR was involved in ADAC Formula Masters and in the German Formula 3 Championship. In both series, the team was able to achieve various podium finishes and victories. After the end of the ADAC Formula Masters series and the end of the German Formula 3 championship, JBR focused on building a touring car and GT team. In the 2016 season, the debut took place in the newly created TCR Germany, where the best team result was achieved with a 5th place at the season finale in Hockenheim. At the beginning of the 2017 season, major changes were made in the company’s corporate structure in order to define the company’s strategic direction for the years to come with new partners. Since its inception, JBR has focused on the development of young drivers to prepare talented youngsters for the next career step in motorsport. Team founder Jörn Becker is delighted that the cooperation with Project 1 has created the best conditions for a successful training concept: “It is a great honor for JBR to work with Project 1 as one of the most successful teams in the Porsche brand trophy. 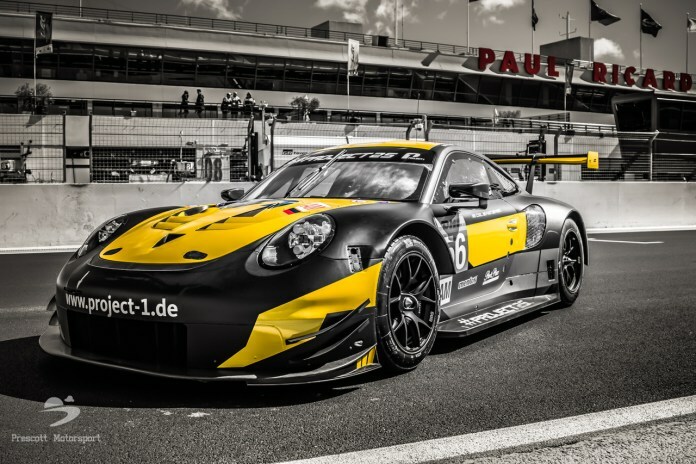 We are pleased to be able to offer a comprehensive education platform for racers through our commitment together with Project 1.“ The cooperation with JBR gives Project 1 the resources it needs to implement the long-term plan to promote young talent: starting in the 2019 season, the Lohne-based racing company will be competing alongside the brand trophy – the Porsche Carrera Cup Germany and the international Porsche Mobil 1 Supercup – in the European Le Mans Series and be represented in the FIA ​​WEC. Thus, Project 1 expands the youth development to a full Porsche GT package. “Jörn Becker, who brings his expertise from Formula 1, will actively support us with his team and drive our pursuit of the best possible training scenario for young racers, ” says Marcel Jürgens-Wichmann, team leader of Project 1, about the collaboration. As Team Project 1 – JBR, the cooperation will be in 2019´s starting grid with two vehicles in Porsche Carrera Cup Germany. The first two races will take place on May 4 and 5, 2019 as part of DTM at Hockenheimring.